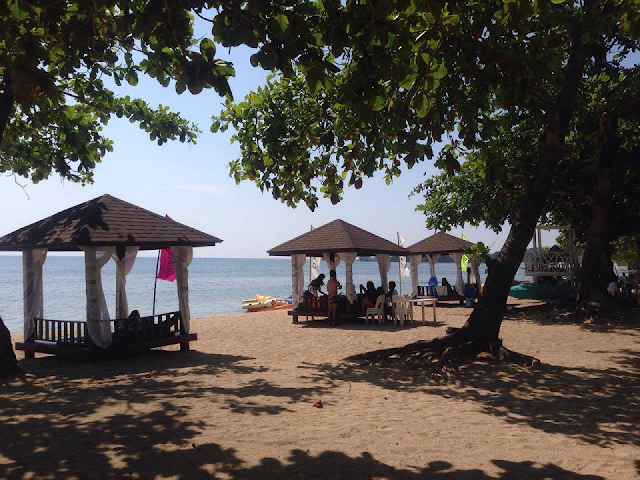 Last week I had an opportunity to join a beach getaway in Aquaria Water Park in Batangas.This is everything I want because of the unusual heat we Filipinos feel. I am not sure because it is summer or this is already the effect of global warming actually. Just when my swimwear and camera are ready, I received a message for a conflict in schedule. To make the long story short, I can't make it. However I found someone to represent me, Stephanie to join fellow bloggers spending a whole day of swimming and water sports. Here is the feature she made about Aquaria Beach Resort. I didn't know that there is even a beachside condominium at Playa Calatagan! So to those who are aiming to live literally near the beach but in a posh location, you know what to do. AQUARIA WATER PARK – a convenient getaway spot to bond with your loved ones! Located in Calatagan, Batangas is a nice resort called Aquaria Water Park. The resort, which is managed by Fuego Hotels & Properties, is just a 3-hour drive from Metro Manila and is a nice option if you’re looking for a clean, decent resort to bond with your friends and family. Aquaria Water Park has a huge pool area, split into multiple zones. 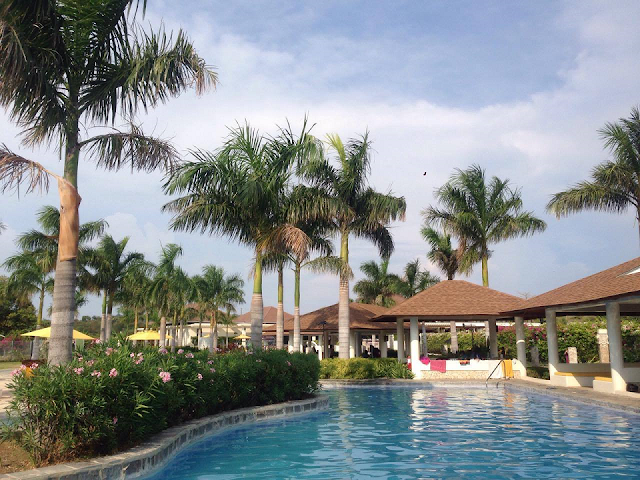 The beautiful spacious pool area provides a tropical paradise ambiance—surrounded by palm trees, vibrant blooms, and azure waters, perfect for pure relaxation. 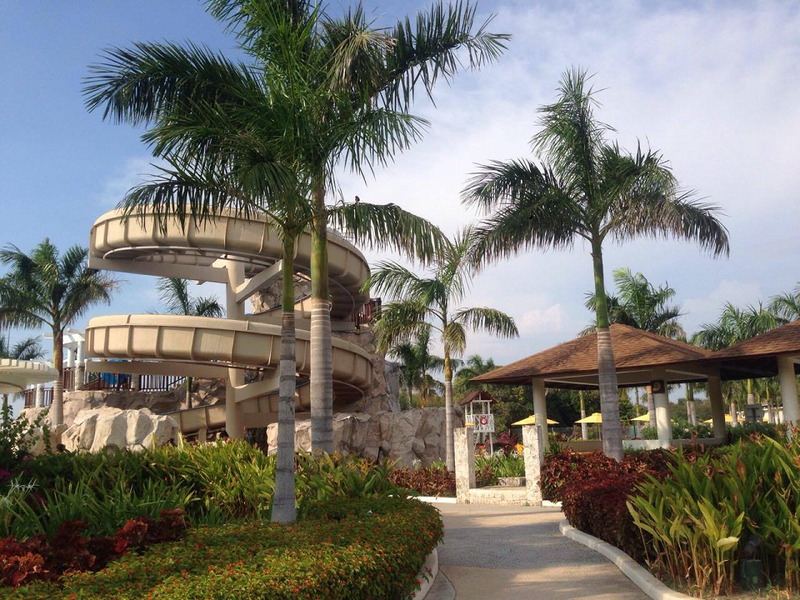 But the main event is their 3-storey water slide—an impressive spiral slide towering above the resort, which will take you approximately 8 thrilling seconds to slide from top to bottom. The kids—and the kids at heart—will definitely delight in this feature. The cove pool cabanas, which can accommodate up to 10 people, are nicely structured: Just step out of the cabana and slip into the inviting swimming pool. The aesthetically pleasing design of Aquaria’s pool area will appeal to both kids and adults, both adventure-seekers and laid-back folks. Do not expect a Boracay-like experience in Aquaria Water Resort’s beach area. Their beach looks pretty generic. You’ve got sand and sea and sky, but not much of a view. The shoreline is littered with seaweeds and dead, floating sea grass, which is pretty unappealing. NOTE: Fellow blogger Azrael thinks that April could be the season when seaweeds show up, they were here last year though different month, there were none. It is best you plan your visit if you are not comfortable seeing these floating. The generic-looking beach, the lack of a scenic view, and the messy shoreline does not really compel you to jump in and frolic in the beach. 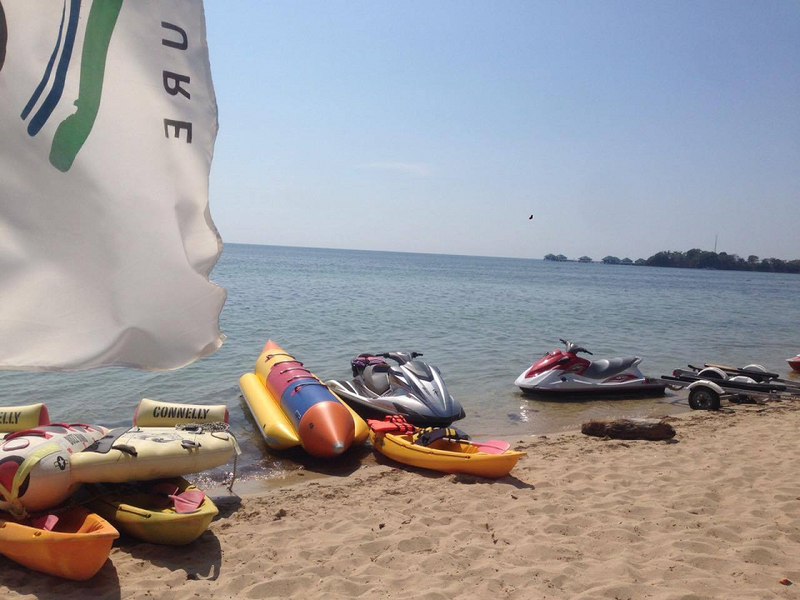 However, the resort offers a lot of water adventure rides, like the jet ski, the buzz bomb, banana boat, pedal boat, and canoe. These are great options if swimming somehow does not appeal to you. 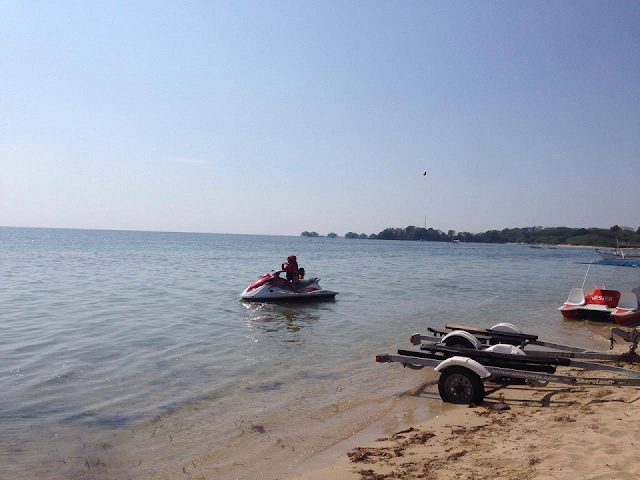 It was here where I first experienced riding a jet ski. A jet ski instructor will accompany you on the ride to make sure you’re safe. It was pretty thrilling—and kind of addicting. The 525-meter stretch of beige sand is clean and decorated with talisay trees. The leadwood trees do not provide a tropical ambiance—instead; they make you feel like you’re in a park. Add to the fact that there are booths in the beach area: a beach-wear booth, hennah tattoo, snacks, and even posts with discreet electrical sockets for your charging needs. You can also start a game of volleyball or football with friends in the beach, so that’s another fun option. And if you get hungry, they conveniently have a beachfront restaurant called The Sands, where you can enjoy your meal facing the water. Basically, the place offers a convenient getaway destination for the guests. If you’re the type who’s looking for a raw and stunning tropical beach, then Aquaria Water Park is not it. If a scenic beach view is important to you, then this is not your place. 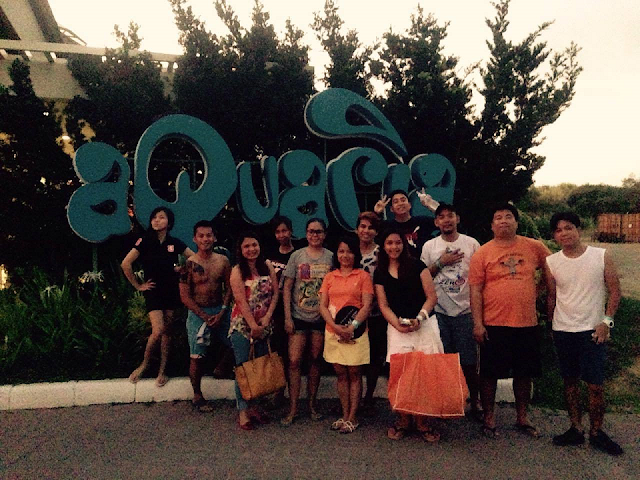 What Aquaria Water Park offers is a pretty standard beach resort for the sole purpose of bonding with friends and family. But if the beach area isn’t so appealing, the pool area is a wonderful alternative. 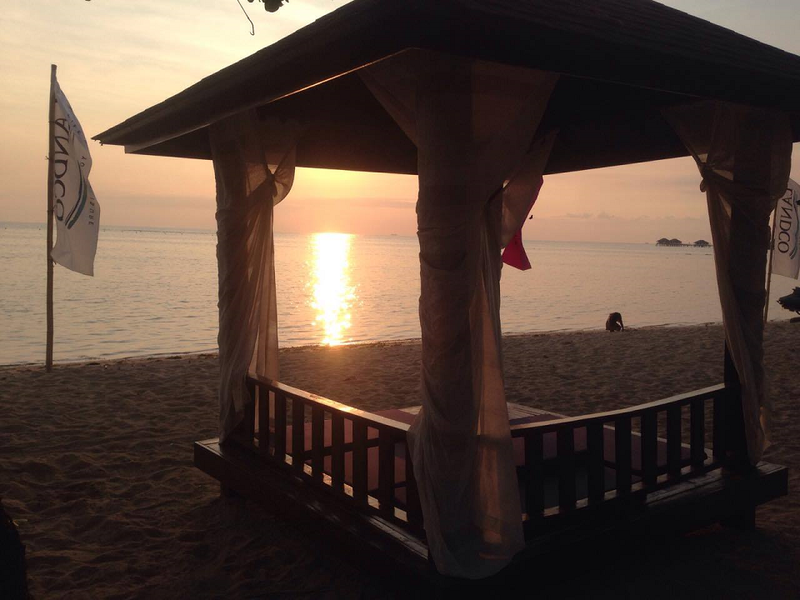 The resort’s best feature in the beach are the beachfront cabanas (Php 1,200 rental fee), which can accommodate up to 8 people. With white curtains and mattresses, it’s a lovely way to relax and watch the sky meet the sea. And wait til the sun sets—it’s just so romantic. The menu is okay. The food is okay too. Their ginataang halo-halo, however, is to die for. If you wish to bring your own meals, you have to pay a 100-peso corkage fee. 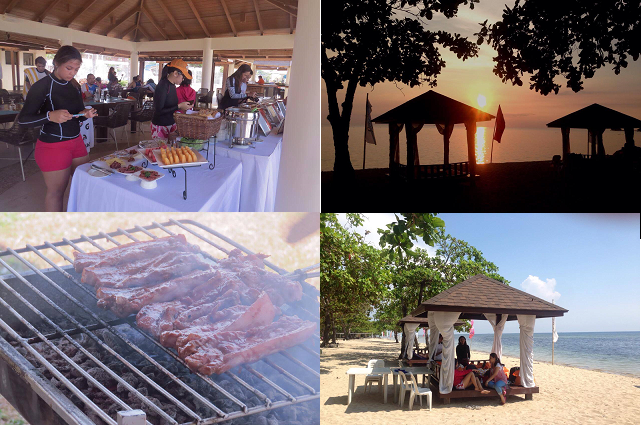 The Sands offers group feasts: the Bilao Fiesta (Php695 – good for 5 people) and Seafood Fiesta (Php 795 good for 5 people). Aquaria Water Park’s strong feature. Overall, Aquaria Water Park is ideal if you need to get away from the hustle and bustle of the city and bond with your loved ones and enjoy mini water adventures together. And it’s just 3 hours from Manila! Take the MRT to Taft Station, then proceed to the bus terminal near McDonald’s Taft. Take the Tagaytay-Lian BSC bus (Php 152 fare), then ask the conductor to drop you off at 7-Eleven in Lian. From Lian, take a public bus (Php 30 fare) to Calatagan Public Market, which is around 30 to 45 minutes travel time. From the Calatagan Public Market, take a tricycle (Php150 to 200 fare) to Aquaria Water Park. Hassle-free commute! Note: 25% discount if you’re coming in with a large group (minimum of 10). Pool and beach cabanas have separate rental fees.